Need an affordable set of pistons for your next Windsor build? Check out the expanded forged Pro Tru Street line that comes with rings and pins as well! Wiseco is always keeping their eyes peeled for trends and opportunities to serve their customer base with desirable performance products, particularly where a performance void exists due to operational or cost prohibitive factors. So, it’s no surprise that they recognized the long-standing desire of rodders to run forged pistons on the street. It’s an unwritten belief among many engine builders both pro and amateur, that forged pistons are the way to go no matter what the application. They would rather have forgings even in the most basic applications where they may not be needed. Pro Tru Street pistons amazing affordability stems from Wiseco’s near-net forging technique that reduces machining operations and lowers your net cost to just over $400, including pre-fit rings, wrist pins, and locks. Skirt coating is also standard. Piston slap is typically heard on engine startup and tends to diminish with warmup so many rodders tend to live with it in order run forged pistons. Still, quieter running forged pistons are a major plus in many hot street applications and other enthusiasts certainly find them desirable. Piston affordability is of course a prevailing factor so many enthusiasts end up with hypereutectic pistons and extol their virtues even if they’re not fully convinced. Because after all, whatever you are running is cool or you wouldn’t be running it. Right? Wiseco Pistons has heeded their call with its Pro Tru Street line of reasonably priced forged pistons- around $420 a set. Affordability is a primary hallmark of these premium forged performance pistons and Wiseco has cleverly devised a method of manufacturing them to fit almost anyone’s budget. 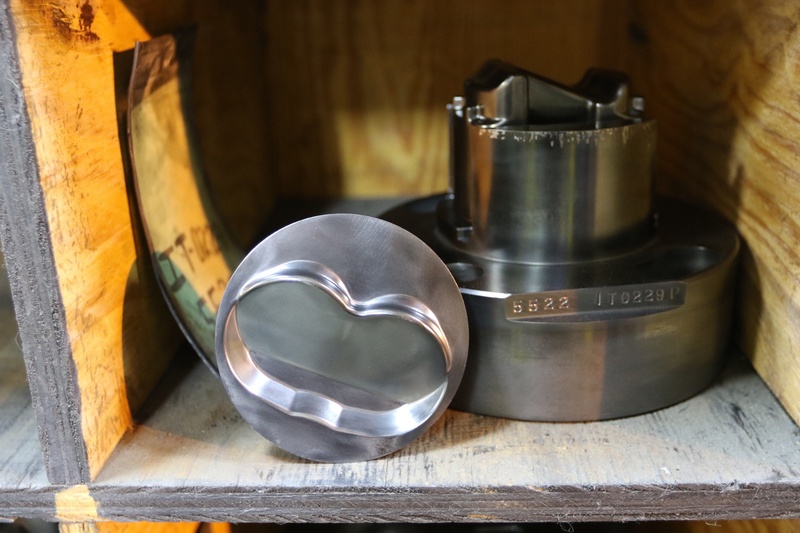 The secret to low-buck forging success is a process called near-net-shape forging, a manufacturing procedure that retains all the best attributes of forged pistons by forging the over-sized, symmetrical, radiused valve pockets depth and location as part of the initial forging process. This method significantly reduces piston machining time which is a substantial part of a pistons cost. Pro Tru Street forged pistons are forged with the same process as forged racing pistons, thus buyers are assured of the same great quality and all the built-in performance features that racers commonly enjoy. Wiseco’s Pro Tru Street pistons are forged from 4032 aluminum alloy which has a street friendly 12 to 13 percent higher silicone content. 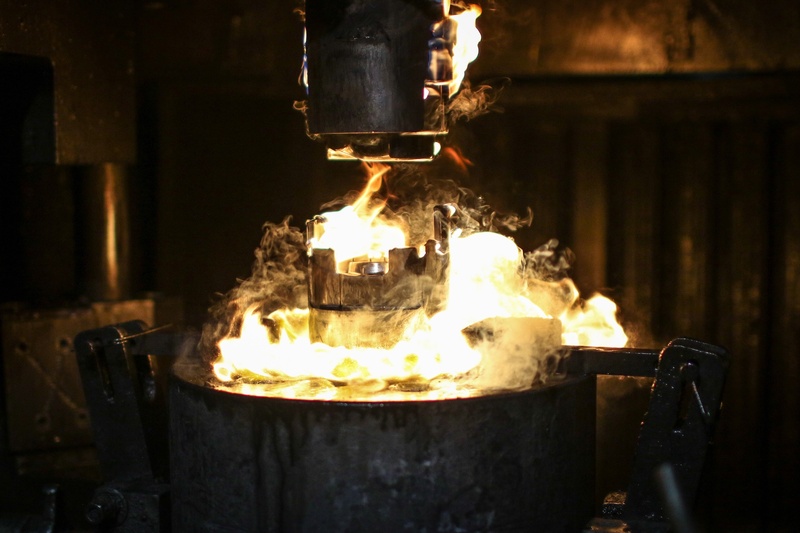 Pro Tru Street pistons begin life as 4032 bar stock cut into forging pucks. This alloy allows a tighter fit to the cylinder walls, promoting quieter operation particularly during engine warmup. Regular 2018 pistons often require 0.0035-0.0050-inch piston-to-wall clearance. Pro Tru Street pistons accept a tighter 0.003-inch piston-to-wall clearance to minimize noise during engine warmup. Wiseco is able to create the dome shape during the forging process, which cuts down the cost to manufacture the pistons. The success of this engineering approach has resulted in a full line of affordable performance forged pistons to fit all popular applications including small block Chevys, 396-502 big block Chevys, 455 Buick and Oldsmobile V8’s, AMC 360s, RB 440’s and various Ford applications. The newest lineup applies to the small block Ford Windsor group that primarily encompasses 289/302 and 351 based V8s. Now these popular engines can also take advantage of Wiseco’s savvy piston strategy to incorporate forged pistons into hot street engine builds for all Ford enthusiasts. So hot street Ford small blocks with forged pistons are now easily attainable and surperisingly affordable with out-of-the-box pistons that are pre-prepped with all the most desirable performance features built in. With Rings, Pins, and Locks Too! Another attractive feature of the Pro Tru Street line is the availability of superior performance ring packs that incorporate 1/16, 1/16, 3/16-inch ring sets. 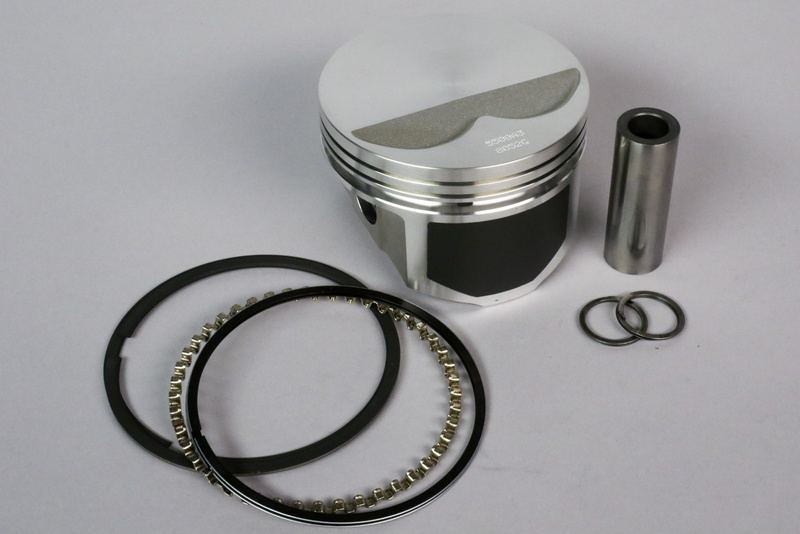 Pro Tru Street line piston kits come with complete performance ring packages along with the proper pins and locks to ensure a performance piston bundle that has been thoroughly tested and certified for street performance use. The thinner ring packages significantly reduce friction because the narrower ring face requires less force to seal against the cylinder wall. The 1/16-inch ring (0.062-inch) ring packages for the Pro Tru Street pistons require less radial (outward) loading to achieve the sealing force at the ring face. The compression ring is a 1/16-inch ductile iron, barrel-face piece with a plasma moly sprayed face. The second ring is 1/16-inch cast iron. A standard tension 3/16-inch oil ring completes the ring pack. Ring packs for the Pro Tru Street pistons are pre-fit for the specified bore size and do not require file fitting. These subtle changes yield measurable power gains based on proven fundamentals of friction management. Wiseco further sweetens the pot by treating its Pro Tru Street pistons with its ArmorGlide skirt coating; a proprietary “OEM type” friction reducing bonding technology that promotes friction and wear reduction, particularly as the piston swings through the vulnerable bottom-dead-center (BDC) reversal where friction and wear are most prone. Windsor Ford V8s represent a popular and substantial portion of the piston aftermarket and Wiseco recognizes the value of providing a full range of bore, stroke, and piston crown combinations. Accordingly, Wiseco made sure to include all 289//302 combinations as well as the 351ci V8s and all popular stroker combinations. This ensured that all Windsor builders can take advantage of the feature-laden forged street pistons. Why is this such an important value? For one thing, it serves as a full-time guardian against poor detonation and poor fuel quality if you are running a higher compression ratio, particularly with older iron cylinder heads. Secondly it diminishes the concern of engine damage if you are supercharging or running any reasonable level of street nitrous oxide injection. And since they accommodated all popular stroker and rod length applications, plus typical over-bores you can easily find the forged piston combination that is right for your street performance Windsor Ford V8. Consult the accompanying chart for your application and be sure to visit the web site for more information about quality Wiseco products. For the Pro Tru Street product page, click here.